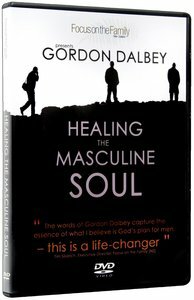 Gordon Dalbey's first book, Healing the Masculine Soul, helped to pioneer the Christian men's movement in 1988 and was followed by Sons of the Father: Healing the Father Wound in Men Today and Fight Like a Man: Redeeming Manhood for Kingdom Warfare. A popular speaker at conferences and retreats around the world, he has appeared on Focus on the Family, The 700 Club and many other radio and TV programs. He lives with his wife and son in Santa Barbara, California.